Does science support intermittent fasting? 1. Fasting for a 24 hour period once per week. 2. Fasting between 10pm and 2pm every day. The last time I reviewed the research, there seemed to be some evidence supporting intermittent fasting as a means to lose fat. In fact I wrote a blog post that outlined some of the benefits of intermittent fasting a few years ago. While it was not exhaustive, when combined with anecdotal observations and well-written postulating articles from respected professionals, it had me convinced that it was worth consideration. I was in the process of suggesting it as an option recently when I realized I was not up to date on the research. I decided to do some reading. This journal article about the health implications of skipping breakfast piqued my interest as it points to skipping breakfast as a risk factor for cardiovascular disease, diabetes, and obesity. Here I was carrying the opinion that intermittent fasting is a potentially legitimate weight loss tool, while reading that it is a risk factor for obesity. I’ll be honest that I read the article with scepticism. Sure enough, the authors do display some evidence of bias toward their thesis that skipping breakfast is unhealthy, but the bias is minor enough that I could get past it. I’m glad I could, as it appears this bias is not without evidence. If you’re a nutrition geek, do yourself a favour and read the full paper. You’ll probably shake your head a couple of times, but I suspect you’ll agree it is comprehensive. Or at least it is in my opinion, but I acknowledge my understanding of nutrition may be inadequate to make that assessment. That said, I believe my background in engineering taught me to read and judge scientific papers effectively. If you are more versed in nutrition than I, and you disagree that it is a sound article, I’d love to hear from you. Habitual breakfast-eaters who skipped breakfast lost more weight than those who continued to eat breakfast, while habitual breakfast skippers who consumed breakfast lost more weight than those who continued to skip breakfast. In other words, changing from one approach to the other yielded better results than either eating breakfast or not eating breakfast. Possible take away: This makes me wonder if intermittent fasting is something that should be cycled? A 12 week open lab trial involving 93 obese and overweight women with metabolic syndrome is described. Participants were put on a 1400 calorie a day diet, where one group consumed 700 calories for breakfast, 500 calories for lunch, and 200 calories for dinner; and the other group consumed 200 calories for breakfast, 500 calories for lunch, and 700 calories for dinner. “After 12 weeks, although body weight, waist circumference, fasting glucose, and insulin were reduced in both groups, they were all significantly lower in the breakfast group”. Possible take away:Does this suggest that a 4pm to 8am fast would be more successful than a 10pm to 2pm fast? A 4 week randomly controlled trial of 36 men and women with obesity were given either a high-fiber or a low fiber cereal for breakfast or they ate no breakfast. The no-breakfast group lost more weight than either breakfast group. Of interest here is that the no-breakfast participants had increases in good, bad, and total cholesterol. Possible take away:So here is evidence that skipping breakfast was better than eating breakfast for weight loss. As for the cholesterol part, admittedly I’m a bit confused these days on the status of cholesterol with respect to health. “Old school” information tells us that we need to watch our cholesterol as high cholesterol (or specifically high bad cholesterol) is damaging to our heart health. Meanwhile some “modern” thinking suggests that cholesterol is irrelevant. Honestly I have no idea what to believe and so I’m just going to bury my head in the sand about it until either the science gets more clear or someone can convince me that the current science is more clear. Possible take away:This also shows that skipping breakfast (and lunch and dinner) yields weight loss. Does it also suggest that intermittent fasting needs to be more aggressive to work? It seems the alternate day fasting studies have more convincing weight loss results than studies involving altered meal timing or single day fasts. It’s interesting that those who consumed some food on the fast day lost more weight than those who didn’t. Does that suggest it’s not just calories-in-calories-out? Or did those who ate a small amount on their fast day eat less on their feeding day? The participants ate “ad libitum” on the feeding day, meaning they ate what they wanted on the feeding day. The study did not publish how many calories they consumed, nor did it publish energy expenditure. So it is possible that this is still a calories-in-calories-out scenario and that the participants who consumed a small amount on the fasting day either ate less on feeding days or moved more in general. Without knowing these facts, we can’t be sure, but we can point to it with interest. So what’s the conclusion? Is intermittent fasting healthy or not? I hate to say it, but the answer is probably still I don’t know, although I would now argue that the evidence against intermittent fasting is a bit stronger than the evidence for it, with the possible exception of alternate day fasting. There is one aspect of health covered in this paper that I largely glossed over: insulin resistance. The paper does discuss the effect of intermittent fasting on insulin resistance in many studies, and it appears clear that insulin resistance is reduced with intermittent fasting – often dramatically. Reading that after reading results of studies showing eating breakfast was more favourable for weight loss than skipping breakfast gave me a real ‘what if’ moment. Is it possible that the reason so many blog posts support intermittent fasting for weight loss is that the authors extrapolated insulin resistance to weight loss? That would be interesting. And, it would seem, wrong. Science is tricky sometimes, and this is one of those times. Science may or may not provide the answer; sometimes all it does is provide more questions. So how does one continue to provide science-based advice when the science is muddy? Just be open about how muddy it is. Do you have an opinion on intermittent fasting? Or perhaps you’ve read and experienced enough that you can make a statement on intermittent fasting? Please share in the comments below. Just please be open about muddiness if your are sharing opinions or small sample experiences. Elsbeth Vaino, B.Sc., is a personal trainer in Ottawa who enjoys reading science, but gets annoyed by opinions and theories presented as science. You’d think reading labels wouldn’t be that complicated, especially for people who know how to read, but I’m here to tell you that when it comes to reading nutrition labels on junk foods, you’re doing it wrong. Or perhaps it would be more accurate to say that you’re doing it wrong when it comes to comprehending the nutrition labels that you’re reading. Tomato, tomato? Thankfully I’ve developed a REVOLUTIONARY METHOD for reading (and comprehending) junk food nutrition labels. I was originally going to charge ONE THOUSAND DOLLARS because, money. But I changed my mind because you are so special. Awwww… So instead I’ll type that it’s worth ONE THOUSAND DOLLARS but only charge you zero dollars. Wow, can you believe it? Lucky day! In fact I’m feeling so generous that I’m going to share this REVOLUTIONARY METHOD right here in this blog post instead of making you read a seventeen paragraph sales letter. Step 1: Read the part of the label that shows the calories. Step 2: Read the part of the label that shows the serving size. Step 3: Flip the package over and read the part that shows the size of the package. Step 4: Divide the package size by the serving size. This number is the Face It You’re Going To Eat It All factor. Step 5: Multiply the Face It You’re Going To Eat It All factor by the calories shown in Step 1. If you read nutrition labels on junk food as a means to decide whether it’s something you should buy, then this is the number you need to be looking at. Unless you’re one of those freaks who open a big bag of cheesies, eat four of them, and then close the bag and put it back in the cupboard. If you are one of those people, I retract my comments above – you own me ONE THOUSAND DOLLARS. Let’s look at some real world examples. Which bag of chips should you buy? At first glance, the second bag may look like a better option as it’s only 270 calories per serving, while the first bag is 350 calories per serving. But if you follow the steps above, you’ll notice that the first label is on a package that contains 66g of chips, while the second label is on a bag that contains 220g. Following the steps above, if you buy the first bag, you’ll eat 350 calories of chips, but if you buy the second bag, you’ll eat 1,188 calories of chips. Side note – these are two different packages of the same product, so how is it that the recommended serving size is different? What about these? They’re baked! They are indeed baked, which means that this package is only 1,089 calories. So that’s better than the 1,188 calories for the large back of Lays, I guess. Except they probably won’t taste as good. For me personally, these are as bad as fake news. If I’m going to gorge on one thousand plus calories of something, it’s not going to be baked pita chips. Now there is one possibility here – if they really don’t taste great, then maybe you won’t eat the whole bag? So that’s a calorie savings! If you’re like me, you’ll be all indignant and say “meh, this is not delicious. I’m not eating any more of these. Stupid baked pita chips.” And then within about five minutes, these stupid chips will have taunted you enough to go back into the kitchen to get some more. Followed by more indignation. And then more snacking. Until the bag is gone. Too long didn’t read? Don’t bring big packages of junk food into the house unless you and all the other inhabitants of the house are freakishly able to resist eating the whole bag. Want chips? Buy the small bag. Want ice cream? Buy the small container. Want chocolate? buy the small bar. Elsbeth Vaino, is a personal trainer who does not possess the ability to say no to a bag of chips if it’s in the house. And thus she will never say stupid things like “just don’t eat it” when you talk to her about your eating habits. Virtually everyone who decides to go on a diet knows what they want to achieve to some level of detail. In fact “What is your goal” is the first of my Two Questions You Must Ask. Having goals is a topic that is frequently talked and written about. In fact I wrote about fitness goals here. The linked article is about working out but the same concept applies to diet and nutrition. In fact here’s a great post by Dr. John Berardi about goal-setting. Goals are important. And the first step to having goals is asking yourself, What is my goal? The second Question You Must Ask, is not discussed as often, even though it’s equally important: What am I willing to do to reach this goal? This question may even be more important, because it determines whether you can reach your goal. For many people there is a gap between what they want and what they are willing to do, and that gap can be a source of unhappiness. Dr. Berardi does address this concept in the linked article above by noting that goals should be behaviour-based in addition to being outcome-based. Absolutely. As long as the behaviour goals and outcome goals match. If the behaviour goal is not enough to meet the outcome goal, then you’re still setting yourself up to fail. If you have a gap between what you want to achieve and what you’re willing to do to achieve it, you’re going to fail. We all know the emotions that accompany failed diets. Usually there is some ice cream involved, which let’s face it, is nice. But it’s usually not enough to sooth the self-criticism and emotional torment that we put ourselves through when we fail. Instead of setting yourself up for ice cream and failure, spend some time going over what you’re actually willing to do to get to your fitness and nutrition goals. If the what you’re willing to do part doesn’t match the goal, then you have to change the goal. You have to. Because if you can’t convince yourself before you start your nutrition and/or exercise plan, there is no way you’re going to stick to it. I know that sounds negative, but it’s the truth. Thankfully there is a giant upside: You don’t have to change a lot to change. Literally if you improve one thing about your nutrition – and stick to it – you will improve your health to some degree. Of course, the smaller the change in behaviour, the smaller the rate of change in results. But a smaller rate of change is still a change. Changing to healthier habits is one of the best things you can do for yourself, but so many of us aim to do more than we’re ready to do. If you want to make change, be kind to yourself and set realistic goals that reflect what you are willing to do. Then come back and thank me in six months when you’ve seen the result of six months worth of a small change – both to your physical and emotional health. Elsbeth Vaino is a personal trainer and a realist in Ottawa, Canada. Is there one lifestyle habit you have that you want to change? You keep trying to change – maybe every January 1 – and you quickly fall back to normal within a few weeks (days? hours?). What if you tried again but cut the habit in half? Could you do it for months and years? How about a quarter of that habit? Too much booze and not enough sleep are my two biggest challenges in terms of healthy habits. I’m leaving sleep for another time as I am not confident that I will stick to any change I try to institute, but a few months ago I tried to tackle booze. It was partly because I had started to have an odd reaction to alcohol: Often when I drank wine or beer in winter, my face turned red. Even after one beer or glass of wine. It started last winter, thankfully went away over the summer, and then came back when winter returned. I have had a “winter allergy” to scented moisturizers for years, so this didn’t wholly surprise me, but it did bother me. The idea of giving up red wine and beer was NOT appealing. Buuuut, as I thought about this, I also started to think about how much red wine and beer I drink. It was more than I should. The after work relaxation glass of wine or beer had become a daily thing, and some days it was two. I didn’t love that it was a daily thing, but if it had just been that, I would not worry about it too much. I also like to go out on the weekend, and when I do, I have more than one or two drinks. When you add those together, my total alcohol consumption was beyond moderation. So last fall – once the winter symptoms had started again – I decided to address two issues together: I stopped drinking alcohol for four weeks. I had no interest in quitting drinking forever, but I figured a month would let me see if getting rid of alcohol would get rid of the red faced symptom. And I figured that period away from booze would be a good idea based on how much I drink. So I picked my start date, and jumped in to this trial with enthusiasm. I even posted on Facebook about it, figuring if I put it out there, I had to stick to it. The post got lots of likes and positive comments, which was nice. A week and a half in, I got the red face symptoms after having a glass of ginger ale. And so I (happily) drew the conclusion that the problem was not alcohol. As I thought about it, I realized the red face didn’t happen with booze all the time in winter – it was only with booze in the evening after a long day. I now suspect that cold plus tired plus sugar or alcohol equals red face for me. That left me in a strange position: I was ten days into a committed four weeks of no alcohol, but I no longer thought I had an alcohol allergy. I did still think that I drank too much, and I wasn’t thrilled about that, so I decided to stick to the trial. As the weekend approached, I found myself thinking I would just stay in instead of socializing with my friends, because I knew that would make me want a drink. It’s amazing how much our social circles and situations are tied in to food and drink! As the weekend got closer, I thought about how ridiculous it was to hide from my life as a means to not drink, especially when I had no intention or interest in stopping drinking forever. At that moment, I decided to stop my four week booze-free trial, and replace it with my cut-the-booze-in-half lifelong change. It’s been almost three months since I switched from that four week habit change that was really hard for me to follow to a permanent habit change that I knew I could do. And it’s been almost three months that I’ve stuck to the permanent habit change. From a math perspective, 12 weeks of 50% alcohol is equivalent to 6 weeks of 0 alcohol, meaning I am 50% ahead of where I would be if I had stuck with the booze free trial without making any follow on change. Even better, is that I feel good about myself that I’m sticking with it, and I’m happy to continue doing so forever. I recognize that posting this may welcome comments that I am too weak to stick to something; and that I couldn’t possibly be a good trainer if I can’t even follow a healthy lifestyle challenge. I also have a feeling that being honest and sharing that I’ve failed will resonate with some people and may even help you to re-evaluate how you approach healthier living. That’s an easy I’ll take the bad for the good situation in my mind. Now back to you: Is there a habit you’ve tried unsuccessfully to kick where you could succeed if you did it at 50%? What about 25%? Elsbeth Vaino is a personal trainer in Ottawa Canada who would rather help you be the best version of you that works for your life than help you get six-pack abs. The path to eating well and exercising is rarely a straight one with the level of meandering and the time it takes to achieve progress varying tremendously from person to person. There are people out there for whom the road is straight as an arrow. For others, the road doesn’t exist yet. The rest of us live somewhere in between. Some of us have healthy habits most of the time with occasional lapses; while others enjoy periods of food debauchery interspersed with weeks of guilt-induced dieting. I feel fortunate to have grown up in an environment where physical activity was as common as reading and television, and where the food we ate was relatively healthy. Not everyone grew up with that privilege and sometimes I wonder if it is harder to stick to regular exercise and healthier eating for those who grew up without it. My healthier living path meanders but not drastically. My normal involves relatively healthy eating, which for me means that I eat primarily home-cooked meals with consideration given to vegetable and protein content, quantity, and taste. My normal also includes alcohol and “unhealthy” foods in smaller quantities. My normal includes either working out or physical activity that I love (currently tennis and skiing are my favourites) three to six times per week. My normal results in feeling great most of the time, which makes it easy to stick to it most of the time, and to get back to it if I stray. My childhood healthy environment privilege probably contributes to this ease. Despite my preference for healthier living, I still struggle with it at times, especially in the presence of stress. I think most people do, regardless of how healthy they seem. I’ve been living outside my normal for almost a year. Since shortly after I learned that my dad had pancreatic cancer. He passed away from the disease last month. I’m comfortable enough to admit that I use alcohol, and to a lesser extent food, as a way to deal with emotions. Or more accurately, I use them as a means to not deal with my emotions. I have no idea how much weight I gained this year as a result. It’s not a huge amount, but it’s noticeable. Or at least it’s noticeable to me. 1. You have to be ready. Can you wrap your head around the idea of eating more healthily? Around the idea of more physical activity than you currently do? Or do walls pop up in your mind as soon as you start to think about it? If you have a combative internal dialogue as soon as you think about a new eating or exercise habit, then you’re either not ready to change, or you’re not ready for that change. If you’re not ready, that’s okay. Keep thinking about it and at some point you will be. Or you will be ready for a different change. Choose habits you will adopt instead of ones you think you should adopt. No matter how small the change, something you can do it is always a better option than a bigger change you won’t do. 3. Understand that life is about choices, and nobody gets to judge yours. Adopting a healthy habit almost always means displacing a less healthy habit. The problem is that we often really like that displaced habit, which means becoming healthier requires you to choose. Sometimes it’s a hard choice. In some cases the short-term gratification from the less healthy choice is such that your brain sends loud signals telling you, for instance, to EAT THE CAKE. That can be a very convincing argument when the cake is right in front of you and the benefits of not eating the cake may not be felt for weeks. Sometimes you may want to adopt healthier habits but aren’t in a place where you feel you can. And lets face it; some of us just don’t want to live in a world that doesn’t involve eating cake. Unfortunately you may know some people who think their opinion about how you should eat matters more than yours. It doesn’t. Nobody gets to make these choices for you, and nobody gets to judge you for your choices. Your family and friends get to care about you, love you, and even be concerned about your health; but they don’t get to judge you. 4. If you are judging yourself for your choices, then you haven’t made the right choice for you yet. If the choice you are making about lifestyle habits is leading to a place where you can’t imagine fulfilling that change, but you also can’t accept yourself without making that change, it’s time to get help. I think that for some of us, the most important person to help with healthier habits is not a nutritionist, but a therapist. Somehow I managed to avoid self-judgement for my habits over the past year and for having gained some weight as a result. I’m proud of myself for that. I think this was possible because I knew deep down that it was temporary for me. In fact just last week I came to a “now I’m ready to treat my body to healthier foods and cut back on the booze” state, and I’m happy to report that I am following it. Not perfectly, because perfectly isn’t how I roll. I’m not quite at my normal, but I’m pretty close and feel confident I’ll be ready to go there in a couple of weeks. Despite ending this period of emotional eating and drinking, I’m still looking for a therapist. I know emotional health is important, and I know that even though I’m in a pretty good place, I’m still not in the best place emotionally. I will be; but I think I need help to get there. Maybe you do too? 5. Aim for healthier instead of healthy. Healthy living can be a daunting goal, while healthier living is relatively available. Consider that you can make one change to your lifestyle and that will improve your health, instead of trying to make all of the changes. It doesn’t even have to be a big change. Not having “fries with that” once per week could be your one thing. Having a fruit instead of cake one time per week could be your one thing. Drinking water instead of pop one time per day could be your one thing. Walking instead of driving partway one time per week could be your one thing. You may be thinking this is essentially point 2 restated, and you’d be right. Consider that a reflection of how important this is. 6. Celebrate your achievements. A small change made successfully is a big deal. Respect and celebrate that. Personally I don’t think there is anything wrong with celebrating with food, but I do suggest you consider whether there are other ways to treat yourself. Maybe a visit to a local spa? A morning on the links? A bubble bath? Tickets to a football game? Take the afternoon off work and pull your kids out of school for an afternoon of play? Or take the afternoon off and leave the kids at school for an afternoon of play? I was talking about this with a client last week. After she mentioned that she can’t change, I suggested she pick 1% of the changes that are being proposed and that she do that. She then commented that after a while she might want to do another 1%. Indeed! So we started to contemplate 1% per month. In two years, that would add up to approximately 24% change (despite my high geek quotient, I opted to stick with linear instead of a net present value equation with discounting). Either way you calculate, it’s very clear that it adds up. If you find yourself thinking “I want to adopt another healthier habit”, remember to apply the tips you followed to succeed the first time. Keep choosing habits you will adopt, keep the judges at arm’s length, get help with your inner judge if you need it, and celebrate your accomplishment. Elsbeth Vaino is a personal trainer in Ottawa who loves working with real clients with real strengths and weaknesses, and thinks it is just fine to not have six pack abs as a goal. Last week I did something I thought I’d never do: I went to the gluten-free section at the grocery store. And not for any sinister reasons. I went there to actually contemplate purchasing gluten-free food-like products. In the end I chose not to get anything because the stuff either didn’t look great, contained ingredients I don’t recognize, contained other ingredients I’m temporarily avoiding, or were things I’d be better off making. I’ve started this elimination diet because I have noticed what I think are a few allergy-like symptoms. I’ve recently realized that I’ve been slightly congested for a good six months – maybe even longer. Not enough that it prevents me doing anything, but noticeable when I breathe during exercises like kettlebell swings. For years I’ve had what I think is considered a winter allergy: If I use skin products with any scent in the winter, that area of skin becomes red and feels hot. Easy to fix by just not using scented products in the winter. But this past winter that problem turned ugly: I started getting red-faced after drinking red wine or beer. (side note #2: The appropriate response to this as a reader is to place hands on cheeks and let out a loud “noooooooo”. Or just visualize that. Either or.) As you can imagine, the obvious solution did not appeal to me, so instead of cutting out red wine and beer, I experimented with different beers and wines. While the hoppier beers were worse, I sadly can’t say that other beers were fine. Thankfully my problem went away as the weather improved before I tried to replace red wine with white. I’ve long thought that elimination diets were a great option for people with digestion issues affecting them. It just makes sense. But I never felt any need to try one because I always felt great, and it never for a moment occurred to me that my winter allergy (sensitivity?) to scents (scentsitivity? – sorry, my repressed familial habit of punning comes out on occasion) could be related to food. Until it spread to wine and beer, which suddenly had a more direct link to my digestive tract. That’s also when I realized I had mild congestion that had been hanging around a long time. I did what everyone does when they think they have a health issue: I turned to Dr. Google. She did not disappoint! There is a lot of information “out there” about elimination diets and as it turns out, many different versions exist. I had initially settled on a version from Precision Nutrition, because I find them to publish science-based information. I went to the grocery store to pick up foods that would fit the diet: fish, fruit (but not citrus), vegetables (no nightshades), rice cakes, rice cereal, and coconut milk. I was going to grab some lamb and turkey as well but they were both more expensive than I was hoping, so I skipped that momentarily. The day before I was planning to start, I baulked. I was thinking about what I would eat for the next two days and I didn’t have enough options ready. I decided to wait a few days and pull together more recipes. In searching for recipes, I came across several other elimination diet options, including this phased approach from greatist.com, Phase one offered a removal of gluten, dairy, soy, and eggs for 21 days. Huh, that seems very doable. I’ll be honest, I was having a hard time wrapping my head around the Precision Nutrition one. I couldn’t even find a salad dressing recipe that would fit the diet, as vinegar, mustard, mayonnaise, yoghurt, and lemon juice are all out. I guess olive oil with salt and pepper would work, but I have a hard time with that. Maybe the Oil & Vinegar concept has been hammered into me for too long. I was also looking ahead to my birthday and then Canada Day thinking that I either have to drastically change how I typically celebrate one of them, or wait until July 2nd to start. I really didn’t want to wait, making the phased approach even more appealing. Salad with an oil and vinegar dressing. And lots of other delicious bits. Seeing that there are so many different versions of the elimination diet also told me something: It told me that the specificity of the science behind them probably doesn’t exist. And that’s okay. But it does suggest to me that the evidence supporting one version over another is probably not strong. And thus I steered myself to the phased approach over the more restrictive approach. For a moment I felt badly about that – that it was somehow cheating. Until I realized that I was very confident that I can stick to the phased approach for the prescribed duration without cheating, but I did not have that confidence for the restrictive one. As a coach, I know that the program you will stick to is always superior to the one you won’t. I should probably apply that to myself as well. Thus I happily made the decision to go with the phased approach. In fact I was so excited about it, I decided to go ahead with my original schedule of starting the next day. Overall I’m amazed at how easy this is. I thought I might seriously crave cheese, but I haven’t really. The guacamole has probably helped there. And the fact that I can eat rice, corn, and potatoes makes creating a meal quite manageable. I need to eat fish more often. Its healthy, delicious, and easy to prepare. Tilapia with mango salsa, rice, and a bunch of veggies. Indian food fits the bill quite nicely. I was happy to reach for the notes I had made when my friend Neena gave me a Punjabi cooking lesson. This time I tried an East meets West variation by making a curried Venison chop with red lentils, zucchini and broccoli, and rice. Social breakfast is a different story. I went to a friend’s cottage last weekend and it was while discussing breakfast for Sunday that I suddenly realized that eggs are a component of bacon and eggs. Seriously. It was a terrible realization. But whatever, I had some tasty cereal with fruit while my friends had waffles with maple syrup. It probably wasn’t that good anyhow. At least I had the side of bacon. Side of bacon; side of fruit salad. Okay. As I sat on the dock drinking a gin and tonic and eating potato chips, I pondered how silly it is that many people assume a gluten-free diet is by definition healthy. I love most Asian cuisine, so I searched long and hard to find something that didn’t have soy in it. Eventually I came across a recipe for pad thai that is allegedly “the real thing”. The sauce is fish sauce, vinegar, tamarind paste, and sugar. I just skiped the egg and went ahead, with rice noodles. So yummy! A Pad Thai variation. No eggs for my elmination diet, and a few other changes based on what I had in the kitchen. As the week progressed, I realized that preparation was key to success with sticking to this diet. The option to just grab take out is much trickier without gluten, soy, eggs, and dairy. Social events can also be tough. I went to my tennis club bbq and had a steak and some coleslaw. Everything else was dairy-licious. Mexican food is a good friend when avoiding these foods. Which thankfully is one of my favourites. Thank you corn tortillas and guacamole for making last week delicious. After eleven days of this, I realized I had not noticed any difference, which suggests to me that none of the phase 1 foods are problematic for me. Because of this, I decided that I would go off this approach for my birthday (day 12) because, well, I wasn’t interested in trying dairy-free, gluten-free, egg-free cake. Had I noticed any changes, I might have been convinced to stick with this for 21 days straight, but I have a hard time buying that 20 of 21 days will be a failed experiment while 21 of 21 days would be scientific. If someone has a compelling argument (preferably fact-based) as to why I am wrong about this, please do share. Over the weekend I had a chat about food with a friend at the tennis club, who quickly noted that dairy is evil. I disagreed and within a short time he rephrased his comment to dairy is evil for him and likely others, but not everyone. He also noted that he thinks everyone should try going without dairy for a few weeks to see if in fact it is evil for them. I agree with that completely. In fact I really think everyone would be well served to take some time to remove foods from their regular diet and see if they notice a difference. I will qualify this with the suggestion that if you have medical concerns, you really should see you actual doctor instead of Dr. Google. I do intend to see my doctor if this congestion doesn’t clear up. Thoughts? Your own elimination diet experiences to share? Let’s chat below in the comments. Elsbeth Vaino, B.Sc., CSCS, is a personal trainer in Ottawa. I was there waiting to pick up my bike but I had to ask about the shoe. And that’s when I learned about the new maximalist running shoe trend. Apparently extra cushioning is what we need to prevent running injuries in 2016. That’s one mighty big pendulum swing when you consider that in 2010 we learned that we need minimalist running shoes to prevent injuries. Scientists and/or companies claiming that “this is the one true answer” is your first sign that you should be sceptical of everything else that person or organization says. Science is rarely that certain, and it is never that certain before the science has had a chance to be vetted by other scientists. This typically takes years, which means by the time there is evidence that it is “the one true answer”, it’s probably not that exciting any more so nobody is talking about. So pretty much if you’re talking about an amazing new scientific discovery, understand that it may or may not be true at this point. This is not a dismissal of the scientific process. That is sound. It’s an accusation that most of the science that makes it to the mainstream has cut corners out of the scientific process. There probably isn’t a “one true answer”, but rather there are different best answers for different people and different scenarios. 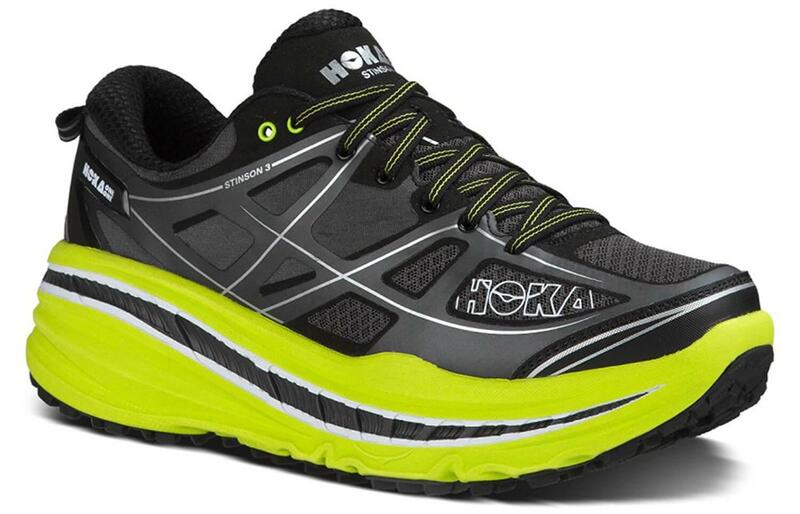 Minimalist running shoes may be the best option for you; so may maximalist. Heck, maybe the running shoes that got run out of town in 2010 are the best option for you. Or maybe running isn’t great for you. How can you tell? Great question. I’m not an expert in running shoes, but I’m going to go out on a limb and suggest that trial and error is probably your best bet. Unfortunately the “this not that” mangling of the scientific process is also prominent in the nutrition world. I just read an interesting article about how “leptin resistance is the main reason people gain weight and have such a hard time losing it.” Some of you will remember that not long ago “The real reason that you may have struggled to lose weight is insulin resistance.” It would seem that leptin is the maximalist shoe of the nutrition world. Elsbeth Vaino, B.Sc., CSCS, is an engineer turned personal trainer who is both amused and annoyed at the inadequacy of what often passes as science. I had a craving for cake this morning, so of course I made muffins. I previously wrote about how muffins were dead to me. Usually we eat them because we think they are the healthy choice, even though we really want the doughnut, when the reality is they are not a healthy choice. As I note in that article, muffins often have more calories, more fat and more carbohydrates than doughnuts. Yes, there is sometimes a bit more fibre, but not much, and not enough to make them anywhere near healthy. The truth of the matter is that muffins are cake. Breakfast cake, if you will. So let’s start calling it what it is so that we can make a proper decision about them. This morning, for instance, I really wanted some breakfast cake. So I made some. Eyes wide open to the fact that this is not a healthy breakfast choice. Which is okay sometimes. I’m a firm believer in the idea of eating healthily most of the time, but that it’s okay to be imperfect. As Dr. Yoni Freedhoff put it (maybe slightly paraphrased), “eat as healthily as you can reasonably enjoy”. This might mean something different for you than for me, and it means something different for me than for a person who is training for an elite level athletic pursuit. For me these days, it involves getting enough protein, vegetables, and water. But it also includes (home made) pizza, red wine, and on rare occasions, breakfast cake. I resurrected breakfast cake for myself because sometimes it is exactly the treat I want. Especially chocolate chip ones. A good chocolate chip muffin is white cake with a liberal sprinkling of chocolate chips. What’s not to like? But let’s be clear: there is nothing healthy about it. It’s time we liberate the muffin from the shackles of its false brand and acknowledge breakfast cake! Even though I recognize breakfast cake’s true self, I still found myself not fully getting it. The photo above is the tray of breakfast cakes just before putting them in the oven. The recipe includes a crumble on top made with cinnamon, flour, sugar, and butter. As I sprinkled it on top of the muffins, I thought to myself, “wow, I can’t believe I’m putting this much sugar and butter on top.“. And then I chuckled to myself. Yes, crazy to sprinkle flour, sugar and butter on top of a dough made up primarily of flour, sugar, and butter. Now that we’ve addressed the true self of breakfast cake, give some thought to zucchini bread, banana bread, and apple loaf. While they each contain some fruit or vegetable, guess what? Cake. Now if you’ll excuse me, I’ve got some blueberry crumble breakfast cake to enjoy. Elsbeth Vaino is a personal trainer who recognizes that people can be healthy without being perfectly healthy. Is coconut oil the best choice for cooking? Like to eat healthy? Always on the lookout for great recipes with a healthy twist? If so, you are probably a coconut oil keener. Am I right? Coconut oil is great. For some things. But did you know coconut oil is actually an unhealthy choice for some recipes? Let me explain. Most non-chefs select oils for cooking based solely on the type of fat. Not long ago, that meant vegetable oils for everything. This was during the saturated fats are evil period. Fast forward a few years to the Mediterranean era where olive oil was all things to all recipes. We now live in the time of the coconut oil, which makes that the perfect oil for all uses. Or so suggest the healthy recipes that make their way around the interweb. It’s amazing how quickly truth changes in the era of the internet. I’m just going to put this out here: When it comes to oil for cooking, unless you were taught by a cook, everything you know is wrong. Let me explain that. Most healthy recipes shared on the internet take only #1 into account. If you’re a chef, you undoubtedly take numbers 2 and 3 into account. I just finished making a healthy recipe for (pretty tasty) banana oatmeal squares that said to use butter or olive oil to grease the baking dish. Olive oil for banana oatmeal squares? Really? Think of it this way: would you put olives in a banana oatmeal square? I love olives, but not with bananas and oatmeal. Many oils have a taste, so if you’re going to use it in a recipe, make sure you’re picking an oil for which the taste works. Before using an oil for a recipe – even just for greasing a pan – ask yourself the question above: “how would this recipe taste with olives in it?” In this case, the butter would have been a good choice, but I opted for coconut oil which I think also complements the flavour of the ingredients nicely. Coconut is not a slam dunk though. Have you ever had eggs cooked in coconut oil? That’s not a good combination. There’s a reason nobody adds coconut oil to their eggs – it doesn’t go. If it doesn’t go as an ingredient, it doesn’t go as a cooking oil. This is one of the reasons vegetable oils remain popular among cooks as a cooking oil. Unlike many oils, vegetable oil is essentially flavourless. That means from a taste perspective, it goes with everything. Which means it is versatile. The other reason vegetable oil remains a popular choice is that it has a fairly high smoke point. Every oil has a smoke point, which is the temperature at which the oil starts to burn. When cooking, it is important to use an oil whose smoke point is higher than the cooking temperature you’ll use. For many recipes, this is another knock against coconut oil as it has a relatively low smoke points, or at least unrefined coconut oil does. The coconut oil in my cupboard (unrefined) has a smoke point of 350 degrees Fahrenheit. That’s quite low. Thankfully this brand notes on the label that it is for medium heat cooking. Unfortunately not all brands list smoke point on the label, leaving people to inadvertently use inappropriate oils for their cooking needs. If you’re someone who loves to use coconut oil for all your cooking please reconsider, or make sure you use a refined coconut oil for the high heat cooking to avoid adding vile-tasting free radicals to your meal. Interested in reading more about smoking point of cooking oils, including a table of oils and their smoke points? There’s a great article about it on seriouseats.com. Note SeriousEats.com is also a great source for delicious recipes. What about health in oils? As noted above, once vegetable oils were considered the pinnacle of health while saturated fat was the work of the devil. The current trend is the opposite. So what’s the truth? This will unfortunately be different depending on what you read. That’s sad state of modern nutrition information: many “experts” have taken to cherry-picking scientific findings that support one concept while ignoring evidence that brings it into question. It is true that the evidence that once vilified saturated fat has been brought into question, but this does not mean that saturated fat is perfectly healthy. Similarly, the modern vilification of vegetable oils is that they are bad because we ate so much of it that our diets became overly high in omega-6 fatty acid, which put our bodies out of balance with the omega-3s. I think that argument has a lot of merit – or at least the part about the omega-3 to omega-6 fatty acid balance. What doesn’t make sense is that we should stop using it entirely. If the problem was that we ate too much of it relative to other fats, then the solution is not to get rid of it entirely: it’s to eat less of it relative to other fats. If you aim to make all of your cooking oil choices based on smoke point and taste, you will end up using a balance of oils. I would argue that the present body of knowledge suggests that a balance of different oils is the healthiest option. Elsbeth Vaino, B.Sc., CSCS, is a personal trainer in Ottawa who gets frustrated by the myriad of bad recipes mislabelled by fitness and nutrition professionals as “healthy and delicious”. Should you take Greens supplements? Photo credit: fady habib on flickr. I do feel a bit sheepish for taking the slightly-misleading-contrarian-blog-post-title approach, but I’m feeling a bit contrarian today, so it seemed appropriate. In fact I have nothing against Greens supplements. I even think they’re a good idea for those who otherwise won’t get much in the way of vegetables. I’d much rather someone take these with a low-vegetable diet than follow a low-vegetable diet and not take them. It’s a way to get the many, many micronutrients vegetables have to offer, and that’s a good thing. But I’d much prefer someone eat actual vegetables in their diet so that they get both the micronutrient and macronutrient benefits. What is this macrunutrient benefit? Primarily it’s that vegetables tend to be high in fibre and protein, and they are low in calories. Here are a few examples of what 100 calories of vegetables look like. And for comparison, a couple of examples of 100 calories of not vegetables. Interested in this Get Lean Challenge? Here are some details as well as the registration form.